The Picture Frame wallpaper is inspired by old black and white photos. 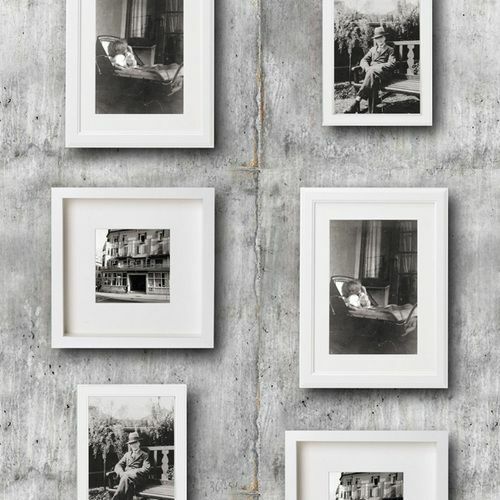 The wallpaper features selection of old photos in white frames, hanging on a concrete wall. The warm brown tones of the old photos contrast with the contemporary white picture frames and the industrial concrete wall making it suitable for both modern and traditional interiors. Perfect for feature walls or a whole room.